You may qualify for tax credits when you replace your aging, inefficient furnace. Around this time of year, a lot of people (at least in the USA) turn their attention to their taxes. Its the wonderful time when all your expenses and income gets examine and run over with a fine tooth comb. Its also when people realize that they can take deductions or get credits for things they never knew about. In this first article of a series, we’ll look at possible tax credits for buying/installing a new furnace for your home. In the cold season, you probably have an idea of how hard your furnace works to heat your home and keep it liveable for you and your family. If you have an older furnace, you probably have an idea that the furnace works a few times harder than it should. Which means, in a nutshell, it is probably costing you more money. Now, I’m not advocating going out and buying a new furnace just because its old. There are a lot of other factors that go into your home, its heating, the heating system as a whole, and your comfort. (Insulation, ducts, thermostat, windows, basic usage, etc). But lets assume that a new furnace is in your future. What can you expect next year when you file taxes for 2010? What options are available to you? Often times, through different months and different years, states may also have their own programs where new appliances that meet a certain energy efficiency rating may qualify for state rebates, refunds, or tax credits. Since they vary so wildly, and come and go rather quickly, it doesn’t make much sense talking about them here. But 99% of the time, retailers will let you know when something like this is coming because they want you to come back and buy the appliance from them. Or you’ll be hit over the head with advertising for it from multiple retailers or energy pros. There are other stipulations as well. The installation or improvement (new system) must be installed in your primary residence and be an existing home – so no new builds will qualify. You can currently claim 30% of cost up to $1500. 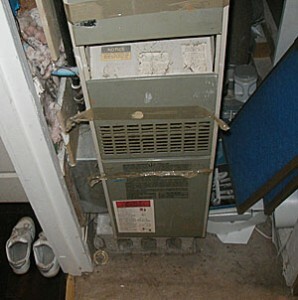 Keep in mind that if you are considering installing a new furnace/heat pump, don’t try to save money and do it yourself! You can claim installation costs as part of the credit! Also, keep in mind that your ducts/thermostat may need to be replaced or upgraded if you upgrade your furnace. This is an additional cost that is not covered by thei credit, though it may be covered under another home improvement credit. And of course, the more efficient the unit, the more expensive it will be. DISCLAIMER: I am not a tax adviser or accountant – I’m a home energy adviser. If you want to know the full details of any tax credit or deduction and how it will specifically affect your taxes and bottom line, talk to your accountant, lawyer, or tax preparation specialist. Also, the information presented is taken from the energy savers.gov website and refers to 2009-2010. While I have no reason to believe too much will change in the upcoming year, it might, so stay tuned. Nice article. I live outside US. DO I get any credits? You would have to check the tax laws for your locality. Many other countries do offer energy efficiency credits. Consult an accountant or tax professional. I love that we have finally woke up as a country and rewarded people for doing the right thing. Not only will this save energy, and your bill from going higher, you also receive a tax credit. Seems like it will pay off the new investment in a rather short time! There are also special tax deductions for “Green” Commercial Buildings. To be specific, it’s called the EPAct 179D Energy Tax Deduction.